※Thank you some questions about my item!! 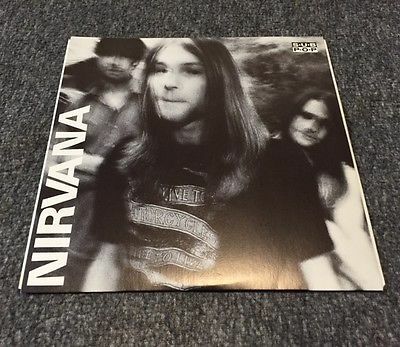 THIS IS AN OFFICIAL NIRVANA LOVE BUZZ 1988 #397/1000 (RED MARKER) ON SUB POP RECORDS. FIRST SINGLES CLUB 7" RELEASED.1,000 of these were hand numbered with a red slash to indicate they were promo. Vinyl and Sleeve are NM condition! Pleasedon't miss out this chance!! Payment must be received within 7 days after auction ended. 2000$ for 5days.Please check above. please wait my total invoice.